WE INTRODUCE YOU THE FUTURE ! 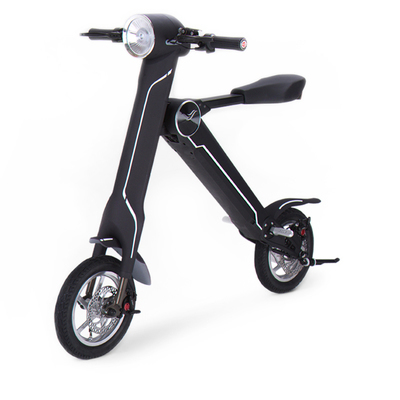 Fashionable, intelligent, portable, foldable, electric bike. With unique designe and the best quality our e-Bike is making a super dream for fashion-favored riders. This is a perfect combination of advanced technology and aesthetic art. You can go wherever you want: visit parks, beaches - just use the bike roads or sidewalks. Our bikes are foldable in seconds so you can transport it in your car or take on the yacht or boat. Use our bikes as a transportation to work, school, for shopping or just ride for pleasure. Don't worry about theft - alarm and keyless entry will give a peace of mind. No gas expenses, no gas smell ! Affordable and pleasant exploitation. Be ECO-friendly- use carbon emission free and noise free transportation ! Genuine leather saddle, soft and comfortable. Global unique appearance, designed in Netherlands, leading the fashion and beauty. Smart gear control, with 4 levels of gears (1, 2, 3, 4). Smart USB power bank, with floating output 5V 1A - 2A, smartly fitting the charged device. Premium front LED White Light: lighting range 10 meters. Bluetooth stereo speaker, to play the music from your mobile / tablet PC. Remote control with burglar alarm: to lock/unlock the e-bike. when locked, there is burglar alarm if someone move the e-bike. Keyless entry to the e-bike. Frame: aviation grade 6061 aluminum alloy, very good intensity and toughness. Tire: Taiwan CST BRAND e-bike pro tire, inflatable and ultra durable. Ultra light weight: 39 lbs (18kg) only for the entire bike. Water-proof: IPX4, tested and approved by TUV. Premium front & rear disc brakes. Front fork with Suspension: anti-shock at the front fork, leading a comfortable trip. LG original battery cells, 3.6V * 2.2Ah * 40pcs cells! With Cruise Control System. To set one speed, and just sit! CE, RoHS, FCC certified, tested and approved by SGS.